The Coeur d’Alene Foot and Ankle Clinic and Surgery Center has always been committed to hiring dedicated and highly qualified staff members. Most members on our staff have been with us for several years. All team members are devoted to treating every patient with kindness and respect. The needs of our patients always come first, and this is evident in the attitude exhibited by every employee of the Coeur d’Alene Foot and Ankle Clinic and Surgery Center. comes to the Coeur d’Alene Foot & Ankle Clinic in 2008 after graduating from Rosalind Franklin University of Medical and Science College of Podiatric Medicine in Chicago, Illinois and completing a three-year Podiatric Medicine and Surgery Residency post graduation at Kendall Regional Medical Center in Miami, Florida. Dr. Nunez is licensed to practice as a Podiatrist in the states of Idaho and Florida, and licensed to practice as a Medical Doctor in the countries of Colombia, Mexico and Spain..
Dr. Núñez is originally from Cartagena, Colombia where he attended the University of Cartagena and in 1989 obtained his MD (Medical Doctor) after completing an internship in General Medicine. He has worked as a general physician at St. Francisco de Asis Hospital in Quibdo, Colombia and Maria Auxiliadora Maternity Clinic in Cartagena, Colombia. He practiced as a PA at The Neuro Center in Chicago, Illinois. Dr. Nunez also worked as an Orthopedic resident at the Institute Mexicano del Seguro Social in Guadalajara, Mexico and completed a two year fellowship in Minimally Invasive Foot and Ankle Surgery sponsored by the Academy of Ambulatory Foot & Ankle Surgery. Dr. Nunez is Assistant Professor and Fellow of the Academy of Ambulatory Foot & Ankle Surgery and assists in a teaching and translating capacity at the annual cadaver seminars. He is also a member of The American Board of Podiatric Surgery. In 2010 and 2013 he co-authored chapters in two Orthopedic texts on minimally invasive surgical techniques for Springer Book Publishers, Minimally Invasive Surgery of the Foot and Ankle. He also co-authored an article for a journal publication in Italy. Dr. Nunez is on staff at the Coeur d’Alene Foot & Ankle Surgery Center and the Kootenai Medical Center, Coeur d’Alene, Idaho. He is in network for most insurance plans. 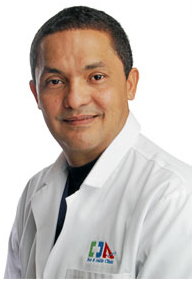 Dr. Nunez offers a broad knowledge base and experience to his patients. Having lived in larger cities such as Chicago and Miami, Dr. Nunez enjoys the slower pace of Coeur d’Alene as well as the beautiful environment. * Licensed as a Medical Doctor (MD) in Colombia, Mexico and Spain. now retired from his US podiatry domestic practice, originally established the Coeur d’Alene Foot & Ankle Clinic / Surgery Center after working since 1976 at the Spokane Foot & Ankle Clinic / Surgery Center. Dr. Isham has devoted his career not only to practicing the minimal invasive techniques, but also as Professor of Surgery to teach these procedures at home and abroad. His influence is prominent in many Central American, South American, European and Asian countries. 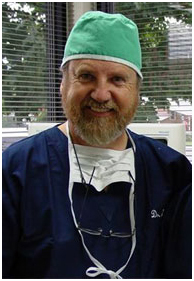 He has pioneered and published articles on many of the minimally invasive surgical procedures currently in use, and several of these techniques bear his name. He has received numerous honors worldwide for his work in this field. Dr. Isham currently continues his work in Minimally Invasive Surgery abroad where he practices at a teaching hospital (San Francisco Hospital) in Mexico City, Mexico and also lectures and teaches around the world at various conferences on Minimally Invasive Surgical Techniques. received her Bachelor of Science Degree in Nursing in 1975 from Washington State University and worked at two different nursing homes on summer break and then worked for five years as a student and post graduate at Spokane Valley General Hospital in the Medical, Surgical and Obstetrics Departments. She joined the staff of the Spokane Foot and Ankle Clinic in 1978 and helped secure Medicare Accreditation for the Surgery Center in 1990 and became the Surgical Nurse Manager in 1990. She participated in setting up the Coeur d’Alene Foot & Ankle Clinic / Surgery Center, helping to obtain Medicare Accreditation and served as Nurse Manager since the Surgery Center’s inception. 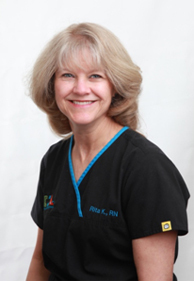 Over the years Rita has participated in geriatric and diabetic foot clinics at various care facilities in Spokane and Coeur d’Alene. 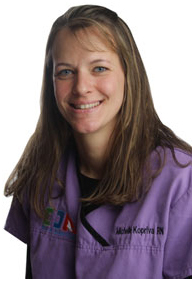 She has also assisted at the Academy of Ambulatory Foot & Ankle Surgery Cadaver Seminars since 1999. Rita brings extensive experience to our facility. received her Associate Nursing Degree from North Idaho College in 2004 and her Bachelor of Science degree in Nursing from Lewis and Clark State College in 2009. She completed rotations at Kootenai Medical Center and Spokane Valley General Hospital during that time. Michelle has been with the Coeur d’Alene Foot & Ankle Clinic / Surgery Center since 2004 and serves as the Clinical Nurse Manager. 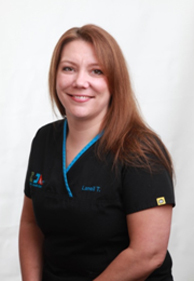 Michelle has also been assisting at the Academy of Ambulatory Foot & Ankle Surgery Cadaver Seminars since 2006.
joined the Coeur d’Alene Foot & Ankle Clinic staff in 2011. She came to us after 8+ years of Medical Billing, Coding and Reception experience including graduating from the Medical Billing & Coding Program at Everest College in Everett, WA in 2006. She is also an active member of the AAPC.